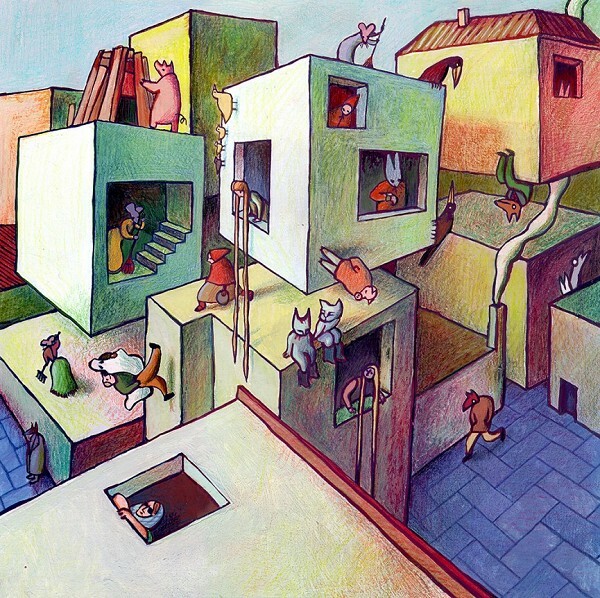 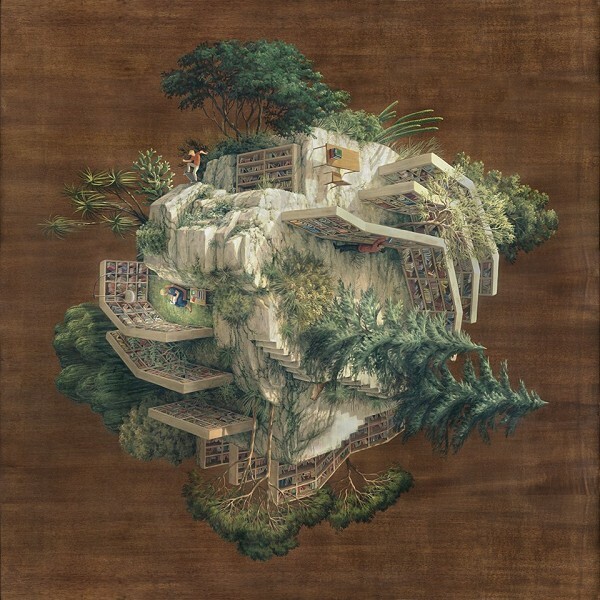 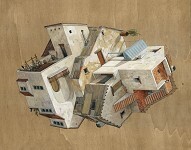 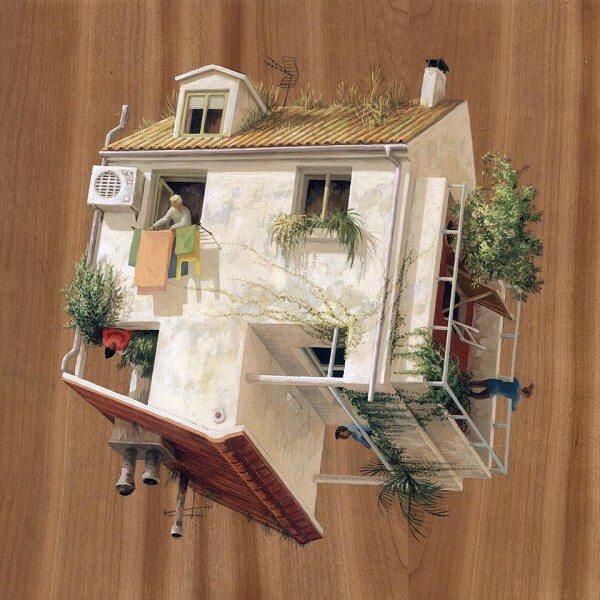 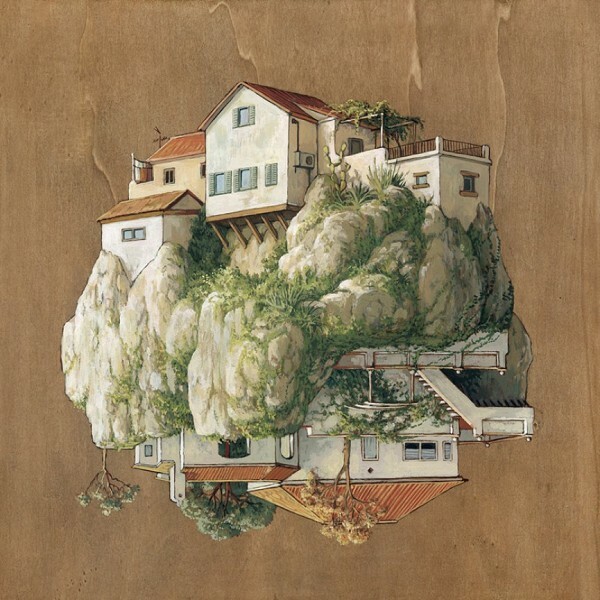 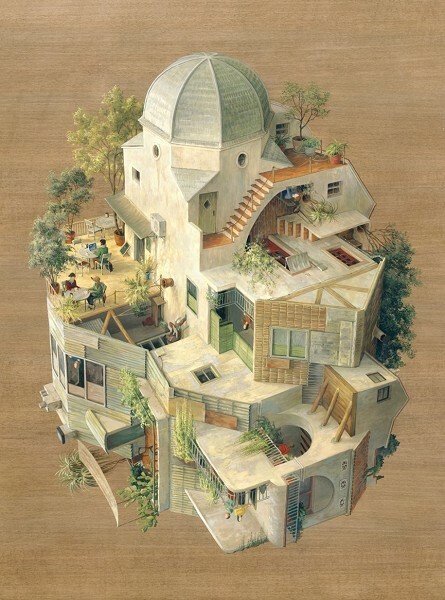 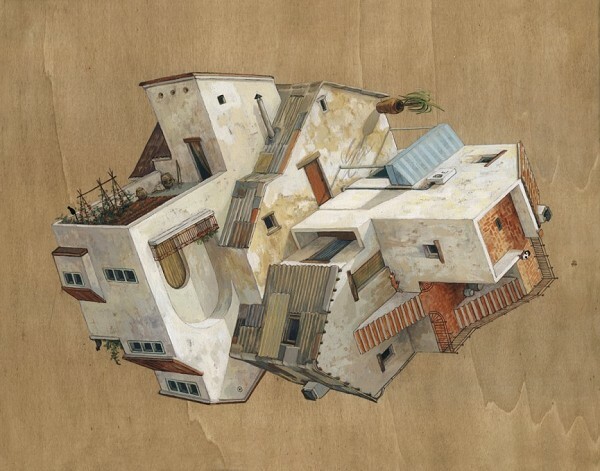 Influences of Escher's Relativity and House of Stairs are clearly visible in these artworks. 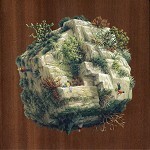 But instead of Escher, which artworks show interriors, these artworks show paradoxial objects as separate objects. Click on image to see it in better quality. 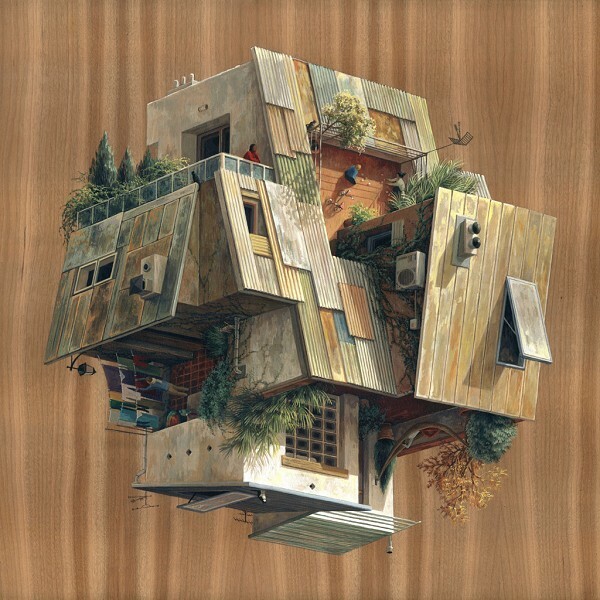 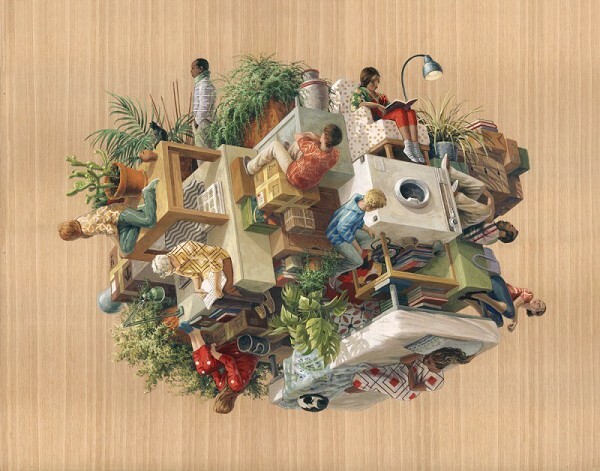 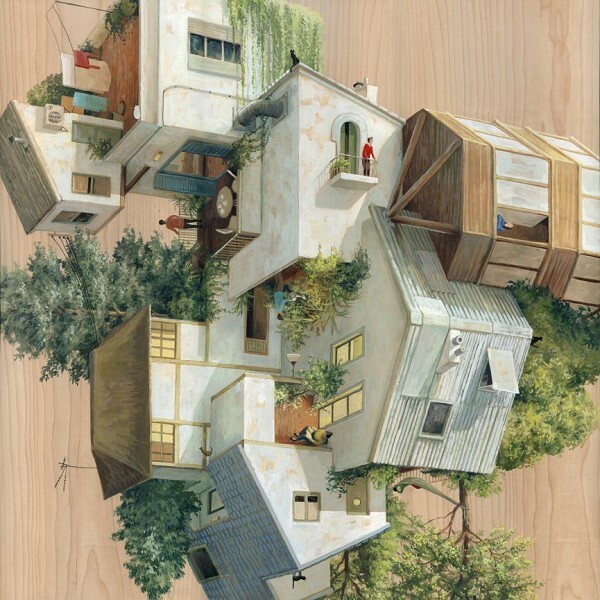 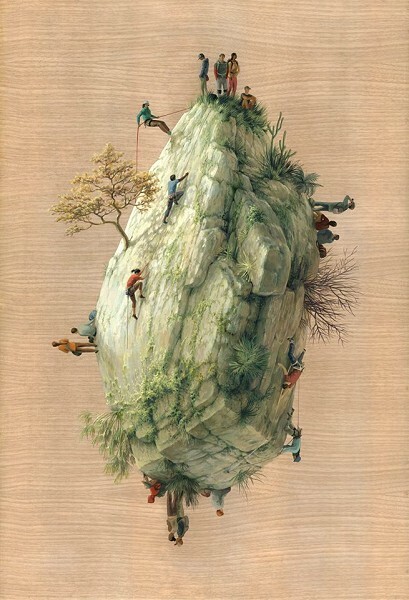 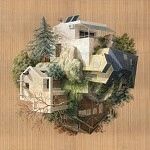 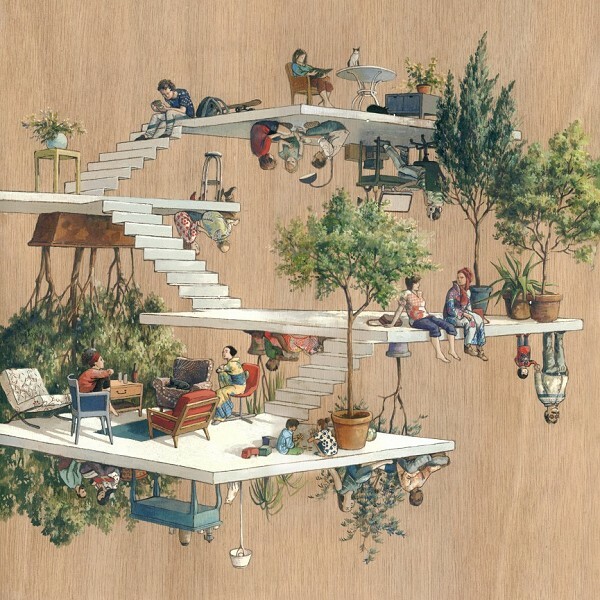 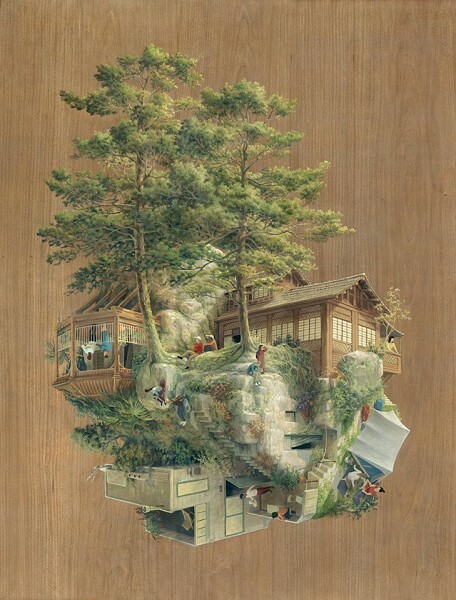 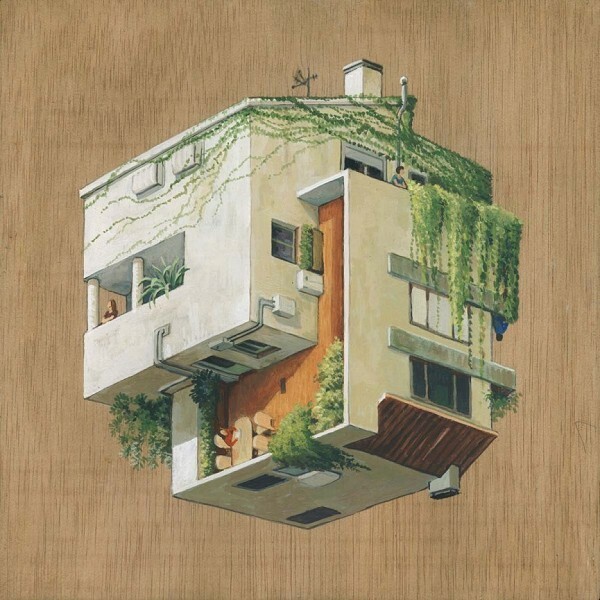 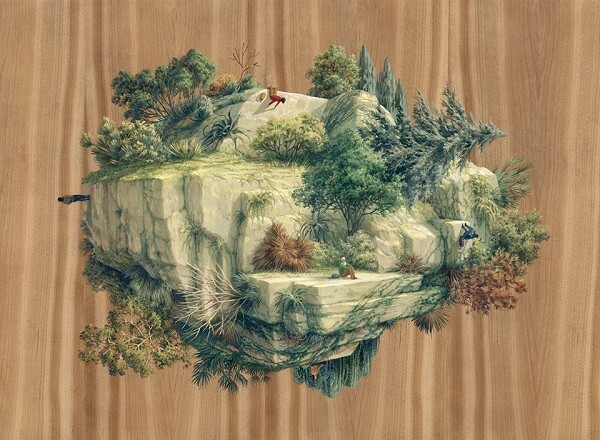 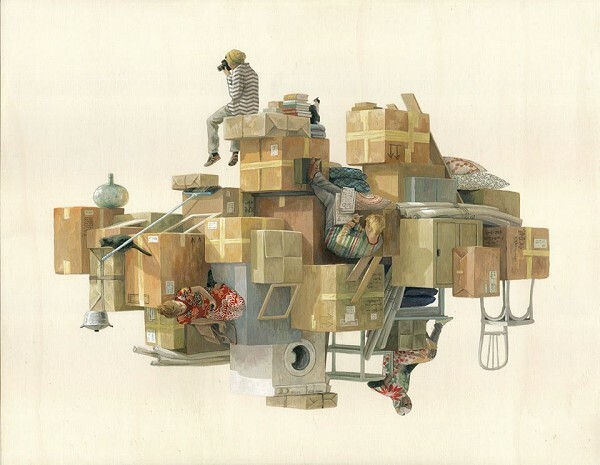 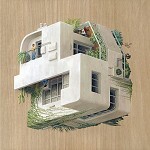 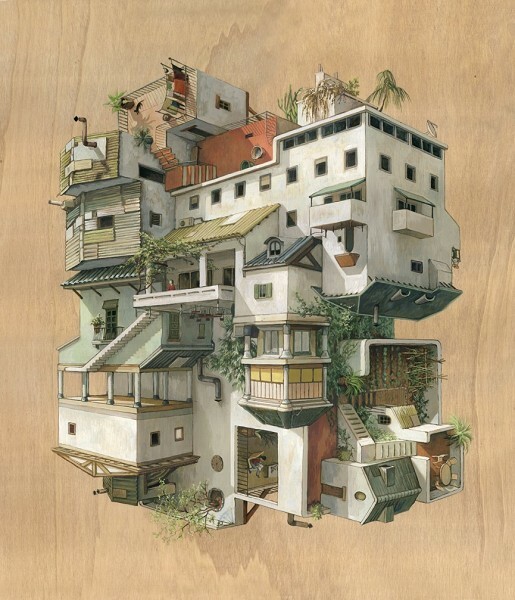 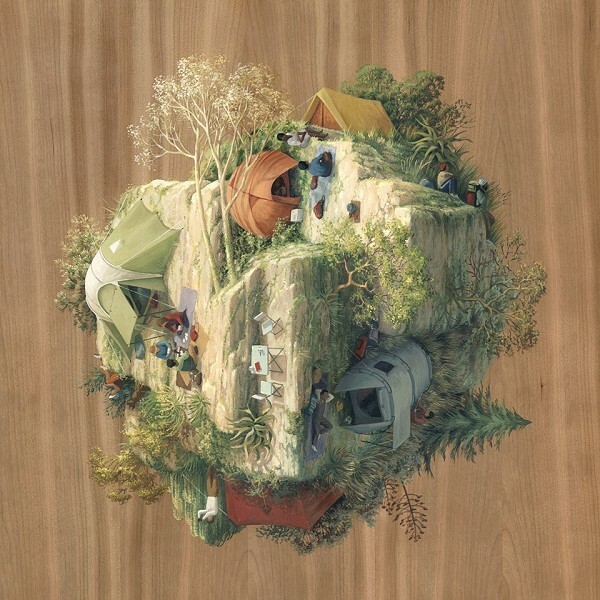 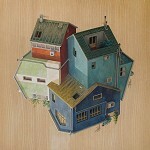 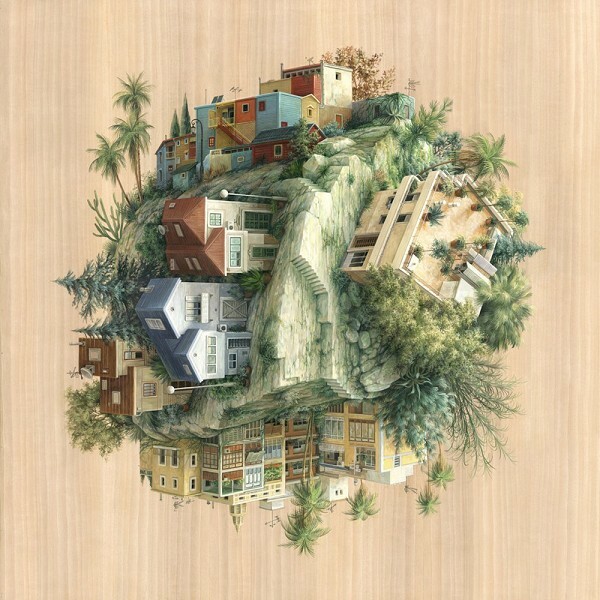 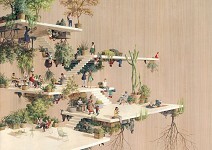 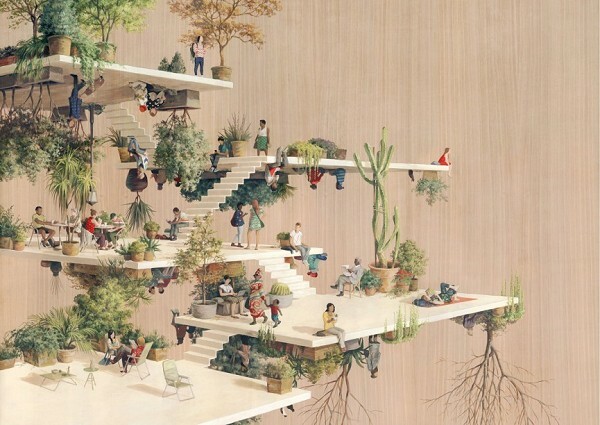 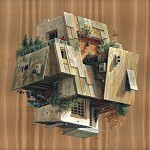 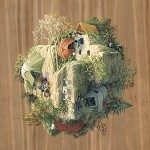 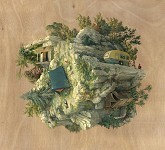 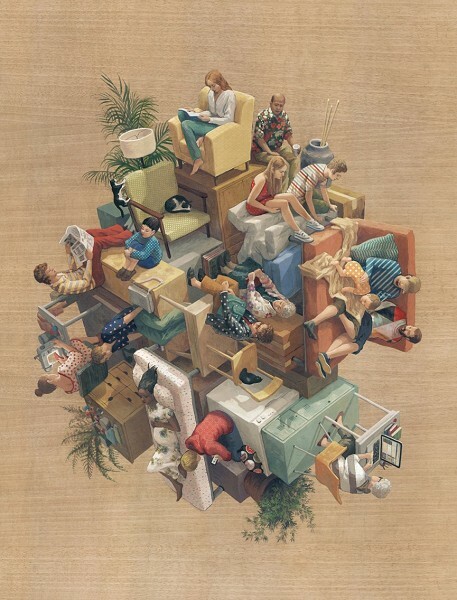 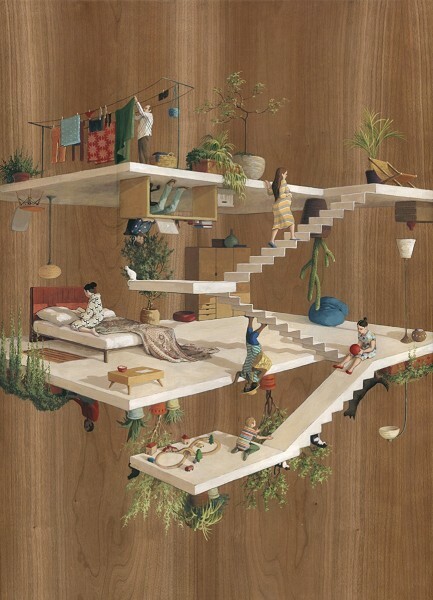 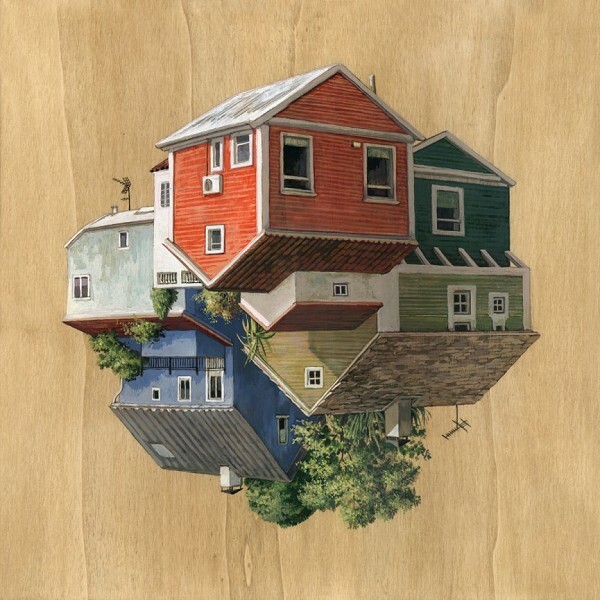 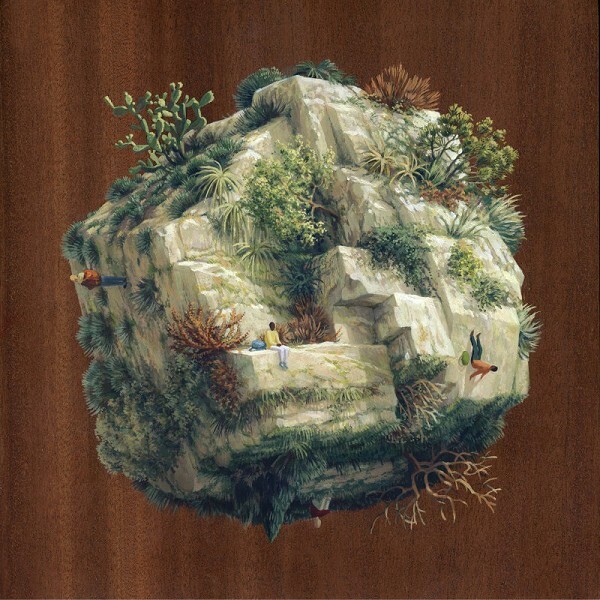 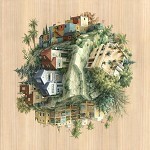 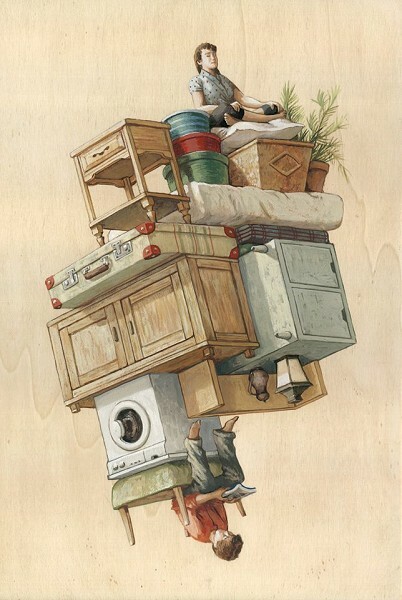 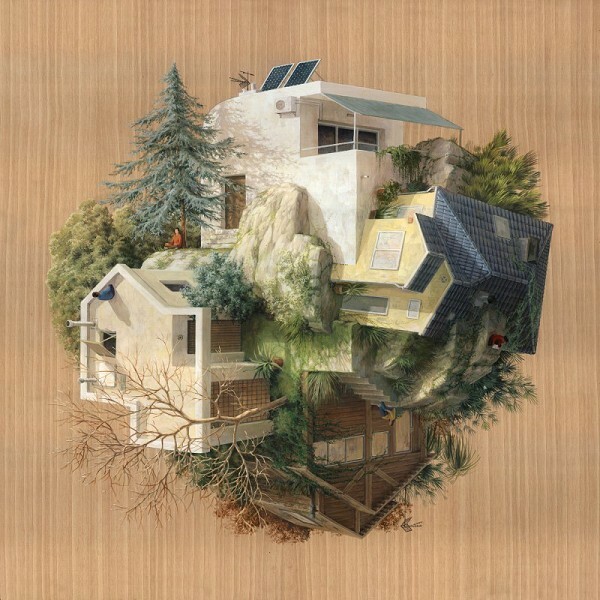 See also murals by Cinta Vidal.